We offer individual sessions of Occupational, Physical and Speech Therapy for 45-60 minutes duration, generally one to two times a week following an evaluation process and recommendations. Treatment is designed around an individualized plan that addresses your child’s strengths and needs. Contact Mary Kreis for scheduling. 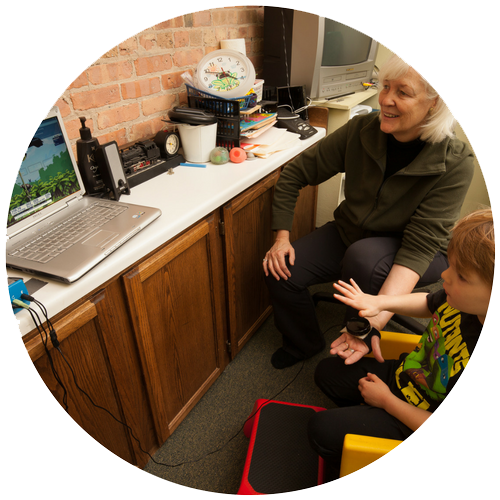 IM is an assessment and treatment tool used in therapy to improve the neurological processes of motor planning, sequencing, visual and auditory processing. Functionally, IM can improve focus, attention, timing and bilateral coordination. This computer based program can be used intensively or as an adjunct to therapy. For more information, please contact Mary Kreis. TL is an auditory intervention that uses the organized sound patterns inherent in music to impact all levels of the nervous system. Auditory information from specially modulated Therapeutic Listening music provides direct input to both the vestibular and the auditory portions of the central nervous system. 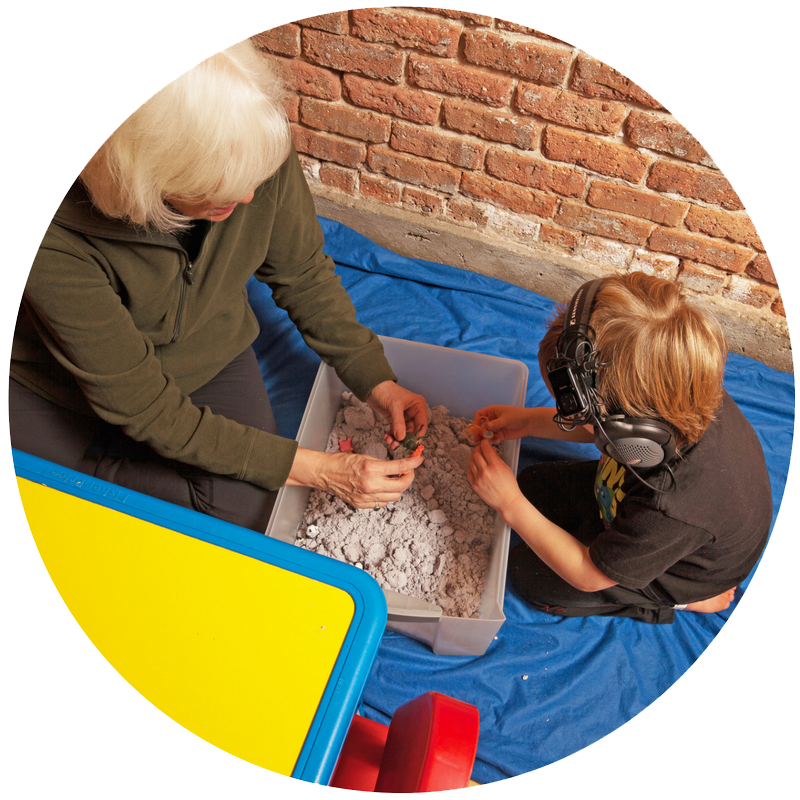 TL can improve sensory modulation, attention, behavior, postural organization, speech and language. A TL program can be set up to be used at home, school as well as during therapy. functioning.” (Vital Links) These musical selections are flexible, last 15-23 minutes and can beused in a variety of settings or part of a sensory diet. For more information, please contact Mary Darnall. This is a specific sound-activated visual-vestibular treatment protocol designed to improve the dynamic interplay of movement, hearing and vision. This clinic based protocol promotes postural development, motor skills, timing and coordination, spatial awareness, sequencing, balance, eye muscle control and visual perception. ILS is a multi-sensory system for improving brain function. 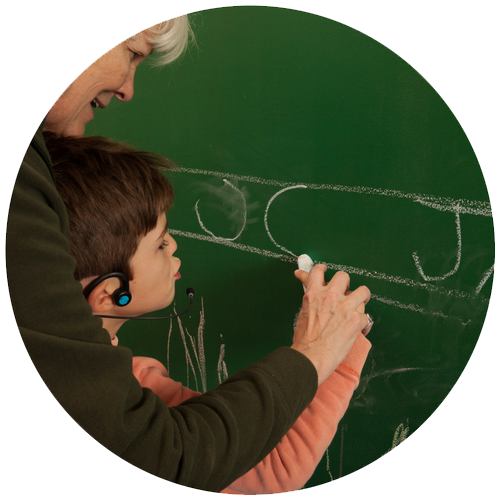 The 3 components of iLs – auditory, motor and interactive language– can be used together or independently, depending upon the situation and the needs of the individual. This program can also be used in the clinic as well as at home and school. Used to diminish over-all sensory defensiveness, DPP involves using a special surgical brush to provide deep pressure to the arms, hands, back, legs and feet. This input is followed by joint compressions. The Deep Pressure Protocol is provided 4-6 times per day initially or with frequency determined by client needs. After instruction by a trained occupational therapist, the parent or caregiver continues the protocol at home.